If you have empty aerosol cans lying around, don't throw them away just yet. They can be used to make a few useful things. In this Instructable, I demonstrate 3 ways you can upcycle empty aerosol spray cans. Before cutting open an aerosol can, make sure it's empty. It's a good idea to puncture a hole before cutting the can with tools that could create a spark. I cut off the top from 2 cans. Cordless drill was used to spin the disk, so it's easier to sand it. I removed spring, stem and the plastic that was holding them. I glued both disks together and used bolt&nut as a clamp. I used 2 nuts to attach the bolt to the wheel. I used acorn nuts for ends of the bolt. To make sure nuts don't get loose, I applied some glue. Our light duty pulley is ready. I cut off top and the bottom from the can. I glued a nut to the top disk. Then I glued both disks together. We have made a simple handle. Then I glued the stem (stem from pulley's can) to one of the disks. And last, I glued both disks together. We have made a simple spinning toy. It can spin for more than 2 minutes. I love all of these. From practical to fun; all great ways to re-purpose one of the worst landfill offenders there is. I'm making that pulley ASAP. Thanks for sharing. I like this. How many times have I wanted a pulley and not had one, then when at the store, I forget again. I think the spinning top would have spun even longer if it had not hit the wood edge. It wsa hard to make it spin without hitting the wood at some point. Man, where do you come up with these ideas? They are awesome. But i have never seen anyone cut a can with scissors. I normally use a hacksaw. But this helps me to see it "can" be done. Thanks for sharing your imagination. I do have metal cutting scissors, but they don't cut too good. The Pulley was my favorite. It was also my favorite. 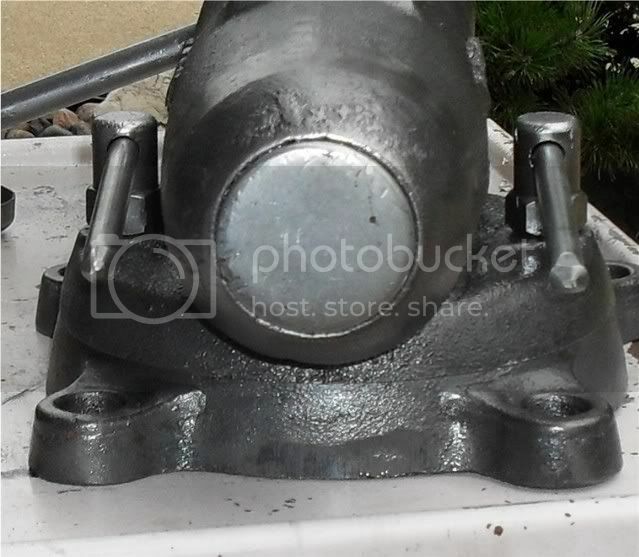 One enterprising vise restorer used an aerosol can bottom for a replacement dust cap on his iconic Wilton "torpedo" vise. Waste not want not. I'll be making a bunch of the pulleys. Very useful for camping in bear country. Thank you for posting this!